On the 19th (Fri), enjoy the sand and surf at Seven Mile Beach, identify plant and animal life at Bonorong Wildlife Sanctuary, and then get great views at Constitution Dock. Get ready for a full day of sightseeing on the next day: look for all kinds of wild species at Wildlife Areas. To see maps, more things to do, where to stay, and other tourist information, go to the Hobart tour itinerary planning website . Sydney to Hobart is an approximately 4.5-hour flight. You can also do a combination of train, ferry, and bus; or do a combination of bus and ferry. Expect slightly colder temperatures when traveling from Sydney in July; daily highs in Hobart reach 15°C and lows reach 4°C. Finish up your sightseeing early on the 21st (Sun) so you can travel to Tullah. Tullah is a town in the northern part of the West Coast Range, on the west coast of Tasmania, about 111 km south of Burnie. Kick off your visit on the 21st (Sun): hike along Marion's Lookout Walk. 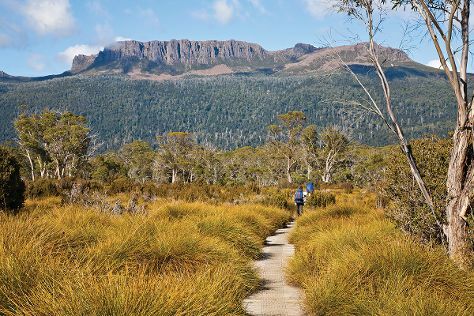 On your second day here, hike along The Overland Track. To find traveler tips, more things to do, other places to visit, and tourist information, read Tullah road trip app . Traveling by car from Hobart to Tullah takes 4.5 hours. Cap off your sightseeing on the 23rd (Tue) early enough to travel to Launceston. 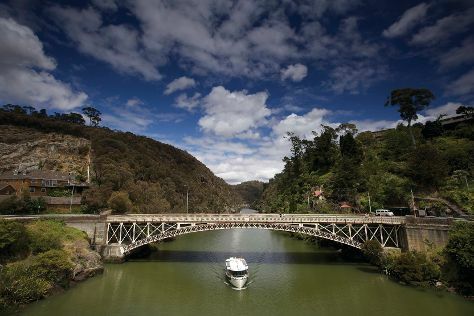 Kick off your visit on the 23rd (Tue): look for all kinds of wild species at Cataract Gorge Reserve, then take in the views from Alexandra Suspension Bridge, and then see the interesting displays at Franklin House. On the 24th (Wed), you'll have a packed day of sightseeing: hit the slopes at Ben Lomond Ski Resort. For traveler tips, ratings, where to stay, and tourist information, read our Launceston trip itinerary planner . You can drive from Tullah to Launceston in 2.5 hours. In July, daytime highs in Launceston are 13°C, while nighttime lows are 2°C. You will have some time to spend on the 25th (Thu) before leaving for Bicheno. Bicheno is a town on the east coast of Tasmania, Australia, 185 km north-east of Hobart on the Tasman Highway, with a population of 853. 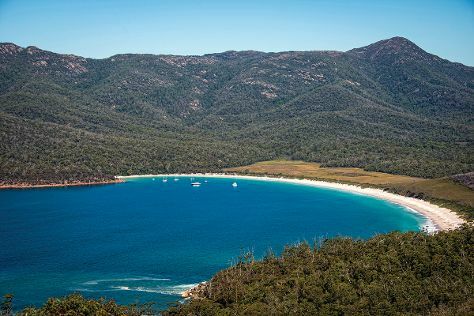 On the 25th (Thu), walk along Wineglass Bay Lookout and then learn about winemaking at Spring Vale Wines. On the 26th (Fri), you'll have a packed day of sightseeing: stroll through Honeymoon Bay, kick back and relax at Wineglass Bay, and then don't miss a visit to Bicheno Blowhole. To find more things to do, ratings, where to stay, and tourist information, go to the Bicheno trip maker website . Traveling by car from Launceston to Bicheno takes 2.5 hours. Alternatively, you can do a combination of bus and taxi; or take a bus. Expect a daytime high around 13°C in July, and nighttime lows around 2°C. You'll have a few hours on the 27th (Sat) to wrap things up before traveling to Hobart. Start off your visit on the 27th (Sat): kick back and relax at Opossum Bay Beach and then appreciate the extensive heritage of Battery Point Sculpture Trail. To see other places to visit, maps, reviews, and more tourist information, use the Hobart trip itinerary maker website . You can drive from Bicheno to Hobart in 2.5 hours. Alternatively, you can take a bus. On the 28th (Sun), you'll have the morning to explore before heading back home.